Easter is right around the corner and it is never too early (or too late!) 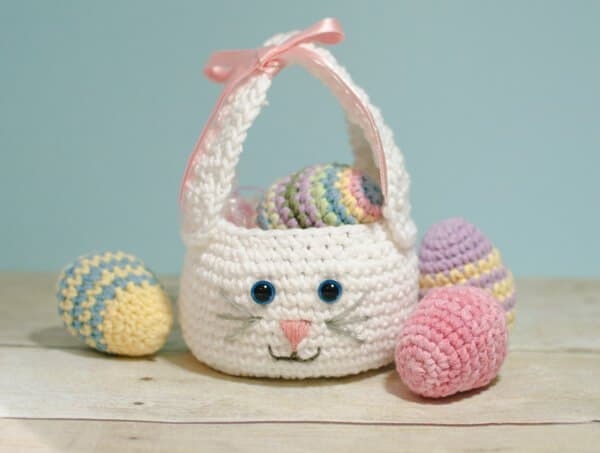 to get started crocheting this year’s Easter Basket. 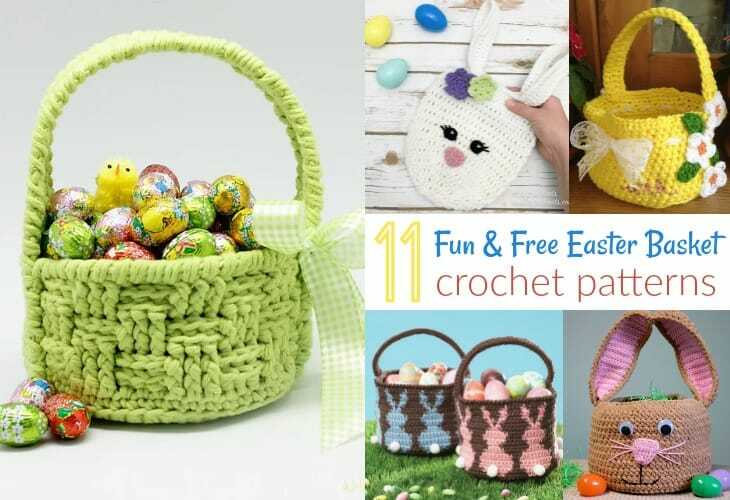 This list of 11 fun & free Easter basket crochet patterns is sure to have just the perfect basket for your little egg hunter! 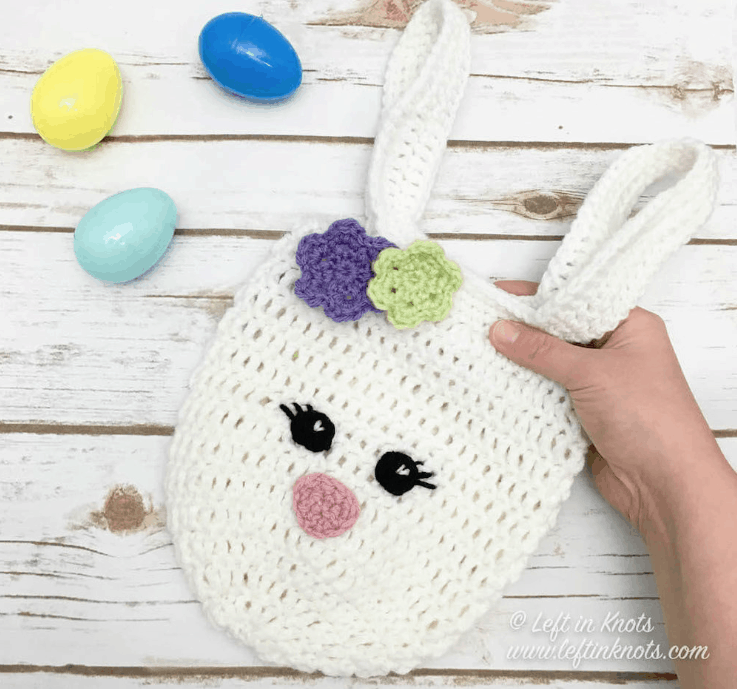 Whether you’re crocheting to fill those Easter baskets, like the Easter Bunny Bookmark or the Quacktastic Bookmark, or you’re crocheting the actual Easter basket, it’s always fun to whip up a new crocheted item for the upcoming holiday! Take a look through this list of crochet patterns to find some inspiration! 1. 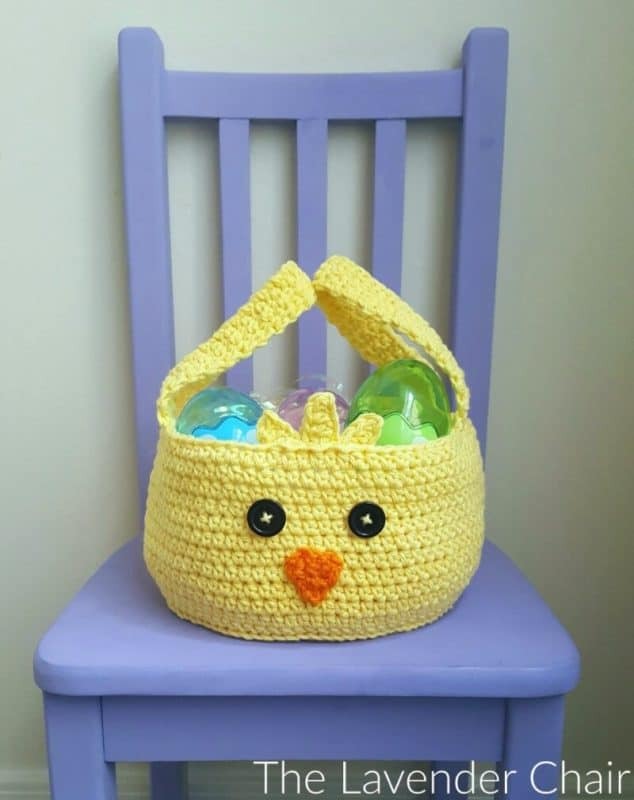 The Chickadee Easter Basket by The Lavender Chair is a quick and easy project. I love his little tuft of feathers at the front and those buttons are the perfect eyes. 2. 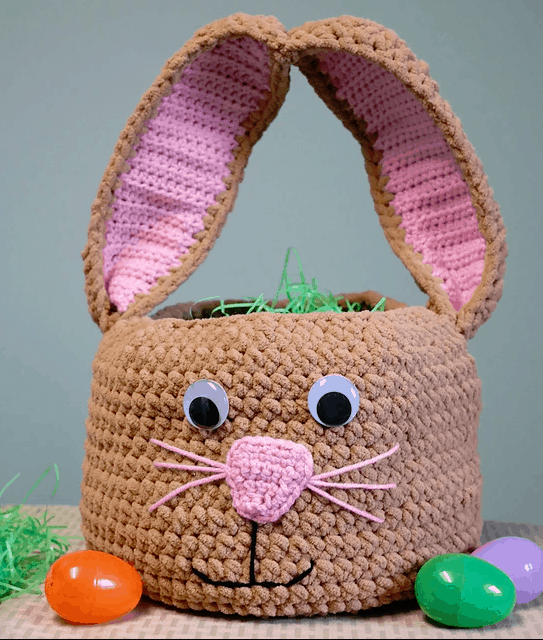 This Easter Bunny Basket by Petals to Picots sure is precious. Perfect for the smallest egg hunter in the family. 3. 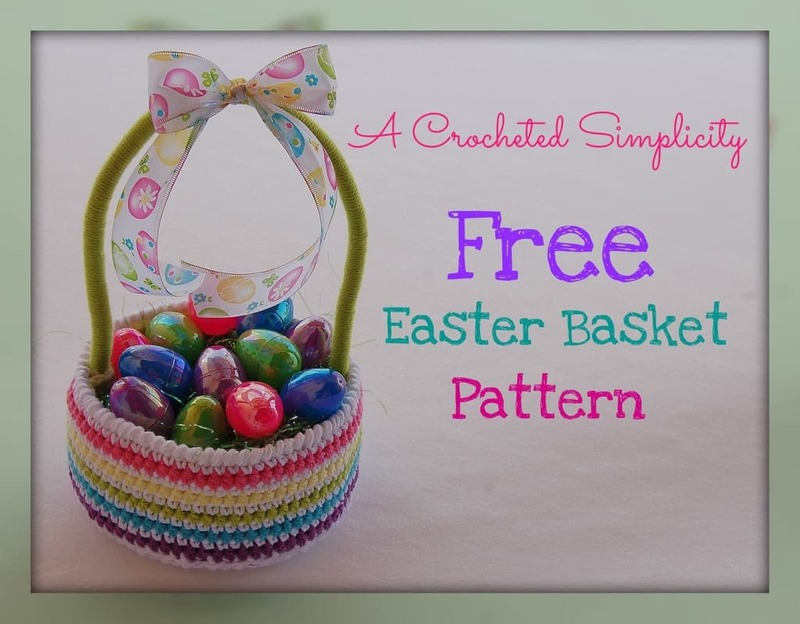 The design of the Easy Easter Basket by A Crocheted Simplicity is genius. The basket incorporates plastic canvas to make it more sturdy. If you’re looking for a sturdy basket, this one is for you! 4. 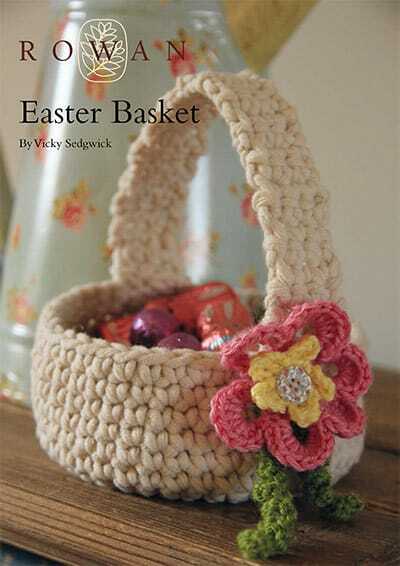 I love the simplicity of this Easter Basket by Vicky Sedgwick (third on list). It works up quickly because of the larger yarn used, and that flower is adorable. 5. Treatsie the Bunny Basket by Tracee Fromm uses the ears as a handle! How cute is he?! And since we’re using blanket yarn it works up super quick! Also, it gives us a reason to buy googly eyes. Bonus! 6. 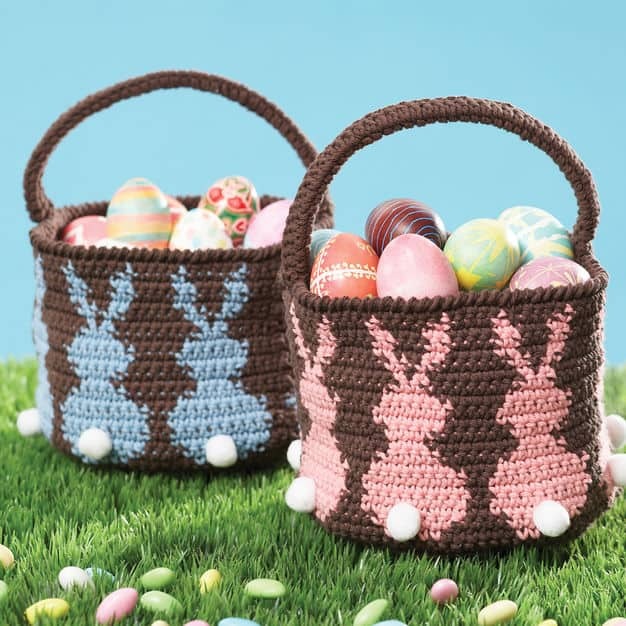 This Easter Basket by Yarnplaza.com reminds me of the woven plastic baskets my mom got us when we were kids. I love it! Note that for this one you’ll have to “order” the pattern (even though its free) and it appears to not recognize United States as a country. I’ve sent an email inquiring and will keep you updated if I hear back! 7. 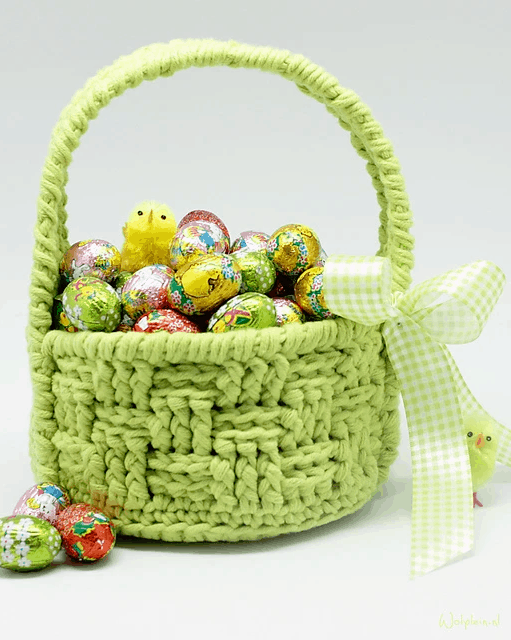 There’s something about the Easter Bunny Basket by Sue ‘Sooz’ Simmons that I just love. It is simple and cute, but kinda chic, too! I’m kind of getting a Velveteen Rabbit vibe. Is that just me? 8. 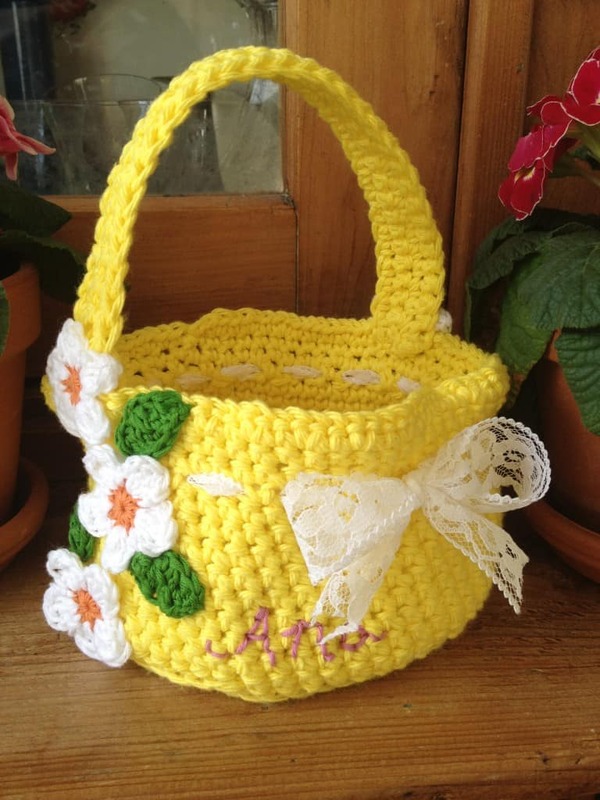 I like how the Easter Basket by Sam Sabido can be customized with different colored flowers (or no flowers at all) and the personalized stitches make this one stand apart from the rest. Either embroider the name on, or you could try your hand at top stitching! 10. 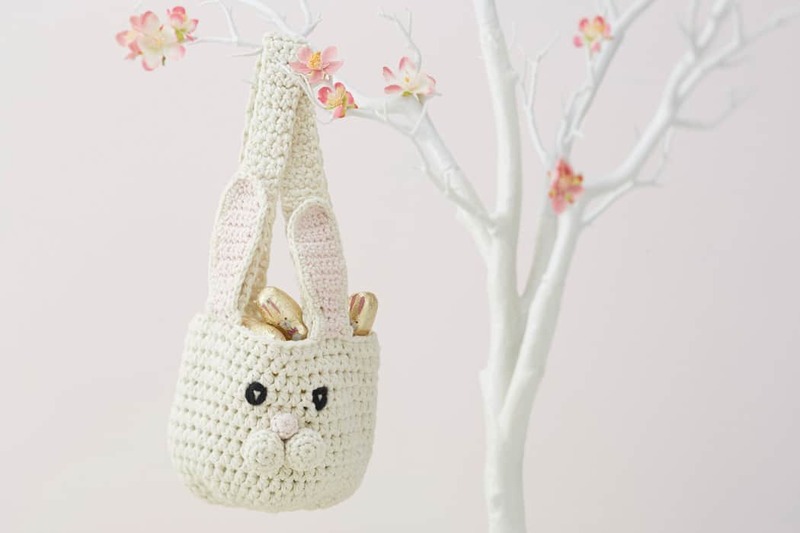 The Crochet Mini Bunny Bag by Left In Knots is adorable and perfect for the junior egg hunter. Sling those ears/handles over the arm and off they go! 11. 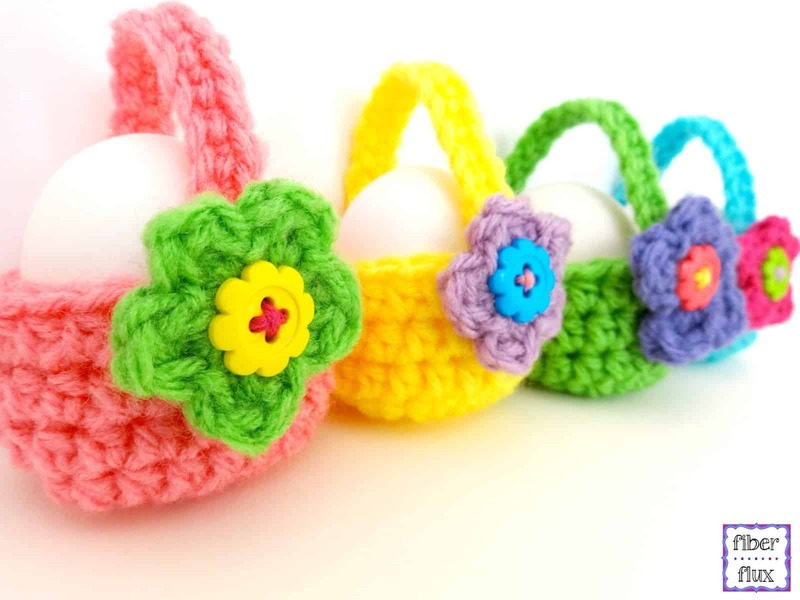 I’m thinking these Little Egg Baskets by Fiber Flux would be perfect for a few candies on Easter morning. 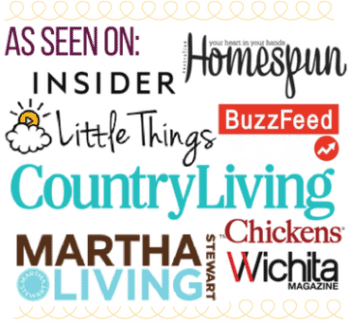 Talk about a fast, fun Easter project! 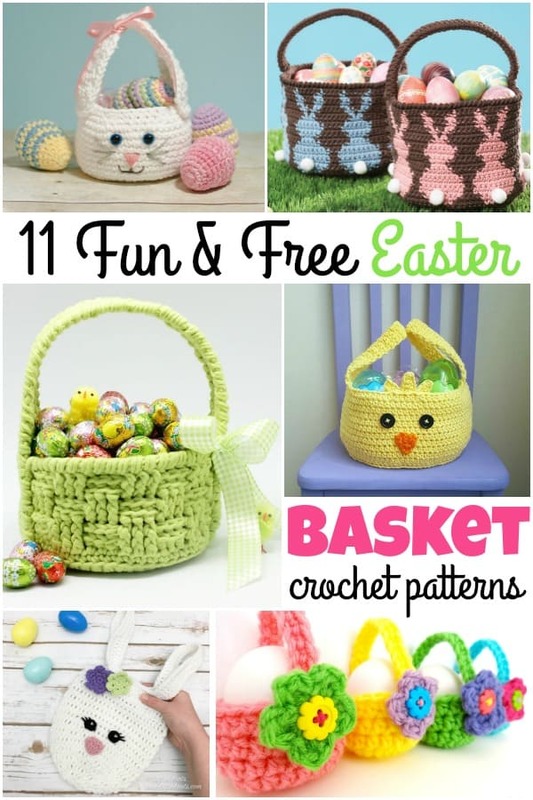 I hope you found the perfect Easter basket crochet pattern for your little one among this list, and I can’t wait to see your creations! 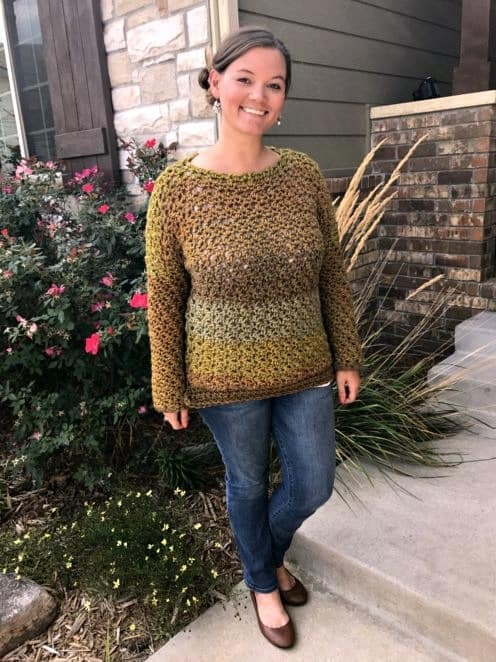 Make sure to share in the Heart Hook Home Crochet Community on Facebook so we can all see! Hello,my Rita and I bought the men's cardigans the one with multiple sizes.From Ravelry.Where do I go to get my pattern. Hi Rita! If you have a Ravelry account it should be in your library. You should also receive a confirmation email from Ravelry with a download link. Hope this helps! I am loving that surgery baby..